ANA Sgt. First Class on woodland camo, ANP Lt. Col. rank on blue cloth. 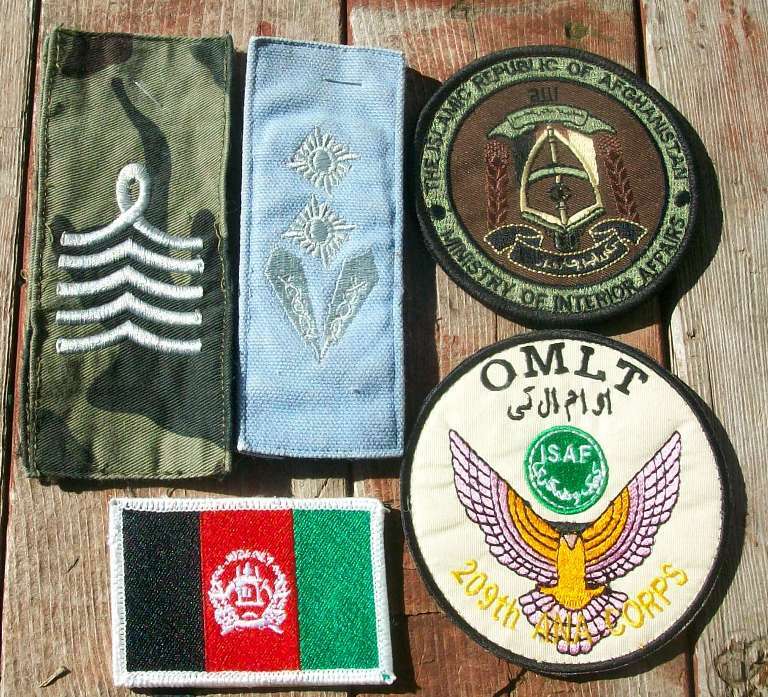 Afghan Ministry of Interior subdued patch, Operation Mentor and Liason Team Germany patch, and small Afghan flag. Interesting, I have never seen that shade of blue ANP rank before--it was usually dark blue or red. The ranks are really weird, Justin. They are open on the back. Not like the velcro rank I'm used to seeing. Is there any chance the rank could be pre OEF? I never saw anything like them either. Now that I know how to post pics here is one of just part of my Afghan patch collection. Thanks guys! Some background on the patches from my collection. I picked all of them up on my 2007-08 and 2009-10 tours in Parwan and Kabul. 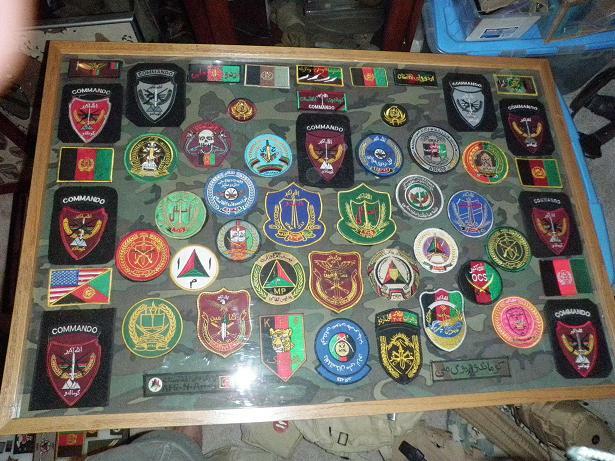 Earlier this year my childhood friend since 1st grade (1978) finally deployed to Afghanistan and picked up some more ANA patches for me and I'll be posting them soon with all my new ANA patches from this 2011 tour. It is interesting to see how the ANA CMDO SSI has changed over the years. The red one with the white border was acquired in 2009. I'm posting this Commando patch in the CMDO thread right after this post.